SpotHero envisions a world where people get everywhere, easier. The company connects mobility leaders, vehicles and drivers with the largest network of off-street parking in North America through its HeroConnect platform, a parking API and SDK, and provides the connective tissue to exchange data and payments. SpotHero is also the leading parking reservation service with more than 20 million cars parked and the most app downloads nationwide. This full ecosystem approach makes parking facilities future-proofed, cities more accessible, and the world more connected. 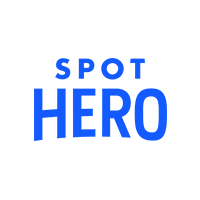 Founded in 2011, SpotHero is headquartered in Chicago and has raised $57.5 million in funding.